"A naturally born artist, says the jury. A musician for whom you would like to go to a theater or living room to listen to beautiful songs. Alex wins you over...she grabs you with everything she has in herself. Alexandra Alden, remember that name." Alexandra Alden (22) is a Maltese musician who is currently residing in Rotterdam, The Netherlands, where she is studying Jazz music at the Conservatory of Rotterdam (CODARTS). Alexandra's family moved to Germany when she was two and they lived there until she was age nine - afterwards moving back to Malta until she left to pursue music in The Netherlands at age nineteen. She began writing lyrics and poetry at the tender age of six and recalls first falling in love with singing as a child while living in Tutzing, Germany. She would shyly sing along to the hymns in the local church while cupping her hands over her mouth so that surrounding church-goers would not hear that she was inventing her own lyrics and improvising over their melody lines instead. At home, her father, who was always an avid music listener would nurture her musical tastes and later introduce her to the guitar, while her mother, a painter and former graphic designer would encourage her to form a steady hand at drawing and develop her artistic eye. Alden is inspired by the works of Nick Drake, Joni Mitchell and Jackson C. Frank as well as artists Rodin and Matisse. Having returned to Malta with her family at the age of 9, Alexandra would later attend classical vocal training for two years under the guidance of Arleen Barlow. Meanwhile, Alexandra searched for a band to work with, yielding little result. Frustrated by these attempts, she was inspired to take matters into her own hands and with the help of her father, took up the acoustic guitar in order to accompany herself and finally put her writing to music. Soon after, she joined the Americana band Martin McNeil & The Dissidents in 2010 as backing vocalist alongside singer/songwriter Martin McNeil, hailing from the UK who at the time, was collaborating with Maltese guitarist Jimmy Bartolo. Alexandra would often be the solo opening act for the Dissidents and features on their debut album, while also designing their band merchandise. During the recording sessions, Alden also worked on her first solo EP with producer and sound engineer Mark Mcrae (UK) who had been producing the Dissidents album as well. She released her first single 'Dancing Alone' in early November 2012 and it peaked at number 1 on the local Maltese charts. Months after, she released the single, ‘Just Like You’ also receiving positive reviews and was accompanied by the online release of a music video directed by Xavier Negreira, a French film-maker, featuring vast scenic shots of the rugged Maltese countryside – a characteristic of Malta which Alden admires dearly. In December 2012, she was asked to perform on 3 consecutive nights for the 15th Anniversary of GO Teatru Unplugged in December. It is an event that is held annually at the Manoel Theatre, a notable structure built during the Baroque period in Valletta. She received positive reviews in physical and online publications such as the Times of Malta. "I was impressed with this new face on the local music scene...Alex Alden, her voice is amazingly clear, her timbre so crisp and she hits each note perfectly without fail. I particularly liked her original numbers. Sheer talent..."
"The depth of her voice and the range of emotions that colour Alden’s tracks belie her young age. This is someone who is just straddling the threshold of adulthood, singing her heart out about obsession and broken hearts, going into the darker spectrum of human feeling. Coming from someone else, the result might have been unconvincing. Not here. Alden’s voice is powerful enough and the pathos in her performance genuine enough that you forget just how young she is. I cannot wait to see what she is up to in five years’ time – I have a hunch that whatever she’s doing won’t be limited to our shores." Finally, Alex Alden's self-funded debut EP was released in April 2013 at the Salesian’s Theatre in Sliema, Malta, accompanied by a full-band and strings section, in contrast to her regular solo and duo performances. 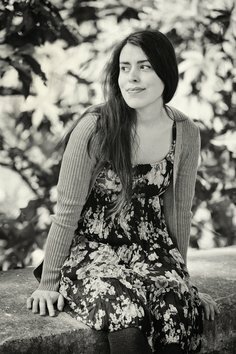 Having moved to The Netherlands in August of 2013, Alden enrolled in the Conservatory of Utrecht (HKU) as a Preparatory student for a year in the Jazz and Pop vocal department, before beginning her Bachelor's degree in August 2014, specialising in Jazz (Voice) at CODARTS Conservatory of Music in Rotterdam. She won the 2nd edition of the JongQuite Quiet Songwriting Competition in December 2014 which is hosted in Delft and soon after opened for Dutch singer-songwriter Michael Prins. She is currently working with cellist Marien Okkerse and also sings backing vocals for the band 'The Magic Mumble Jumble' who are based in The Hague, The Netherlands. During the course of her studies Alden returns to Malta during holiday periods to organise musical events, such as Songwriting Workshops at the Salesian’s Theatre where she works with youths to develop their musical talents. Always strongly affected by her environment, the combination of forests and murky lakes of the north in contrast with the wild Mediterranean sea, limestone cliffs and olive groves of the south are elements which continue to influence Alden's music.